Welcome to the first 2018/19 blog post from the Be Strong Online team here at the Diana Award! We’re hoping to post monthly with updates, hints and best practice tips when it comes to delivering the Be Strong Online programme in your school. We are also featuring a Spotlight School of the Month – if you keep in touch with us, your school could feature here! Be Strong Online is back with a bang this term! We’ve been travelling all around the UK training new ambassadors from Belfast to Bedford to be positive online role models! Check out all our updates below including our Spotlight School of the Month. The Be Strong Online modules have now been downloaded more than 10,000 times! These are available to download for free from the Modules tab here on the Be Strong Online platform or via TES.com. The Be Strong Online programme has been nominated for a #SaferInternet4EU award – a European contest to reward high quality resources and inspiring initiatives pursuing ‘Better Internet for Kids’ objectives – https://www.betterinternetforkids.eu/web/portal/saferinternet4eu – awards will be presented by the Commissioner for Digital Economy and Society at a ceremony at the Safer Internet Forum taking place in Brussels, Belgium on 20 November 2018. Maya from the team will be attending the event so hopefully she’ll need to prepare a winner’s speech! Guru Nanak Academy Ambassadors were trained in July 2018 and since then, amongst other things, they have translated the Parent’s Info sheet from the Social Media module into Punjabi which we’ll be sharing on the module page shortly. Well done GNA Ambassadors! It’s so important that parents are kept up to speed with what young people are experiencing online and the Parent’s Info sheets that are provided for each of the 10 modules, cover the essentials for that topic …. we encourage all ambassadors to adjust any of our resources to make them most suitable for them – if your school has translated or plans to translate any of the resources and would like to share the translations with us for others to use, do share them with us! 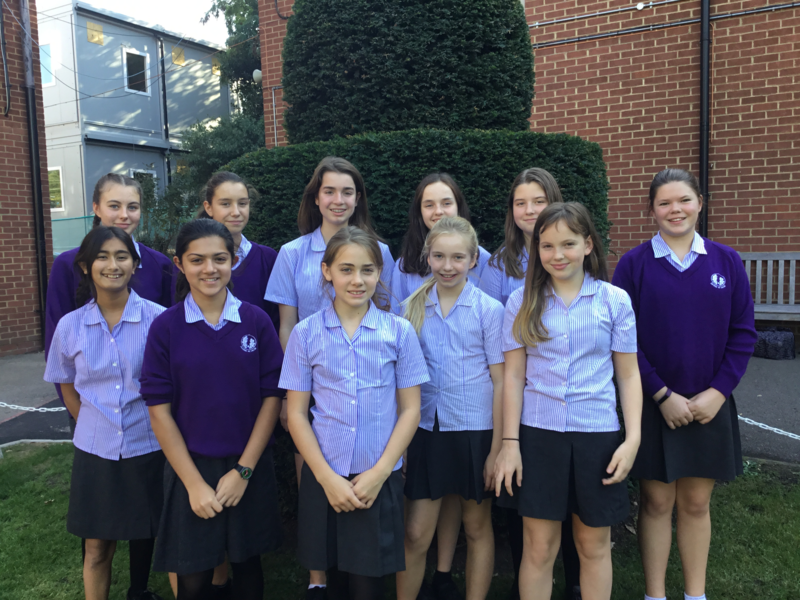 Since attending their initial training with us in early October, the Putney High School Be Strong Online ambassadors have been extremely busy implementing the programme in their school. They organised an online safety event for 107 Year 7 students. In their school hall they set up 5 activities on a carousel using Be Strong Online module activities such as ‘The Emoji Activity’ which the ambassadors ran. This one-hour digital safety session replaced a standard classroom based PSHE lesson. Students that attended the event said it was ‘better than normal PSHE’, they enjoyed the session as it ‘made safety awareness more fun’ and ‘it gave advice on difficult situations that we might find ourselves in.’ Next term, the ambassadors plan to visit the local primary school to run activities on cyber bullying. – Could your Be Strong Online team run a similar event? It could be a great way to introduce your Be Strong Online to the school, if you’re newly trained, whilst running a fun and engaging session using activities from the Be Strong Online modules.